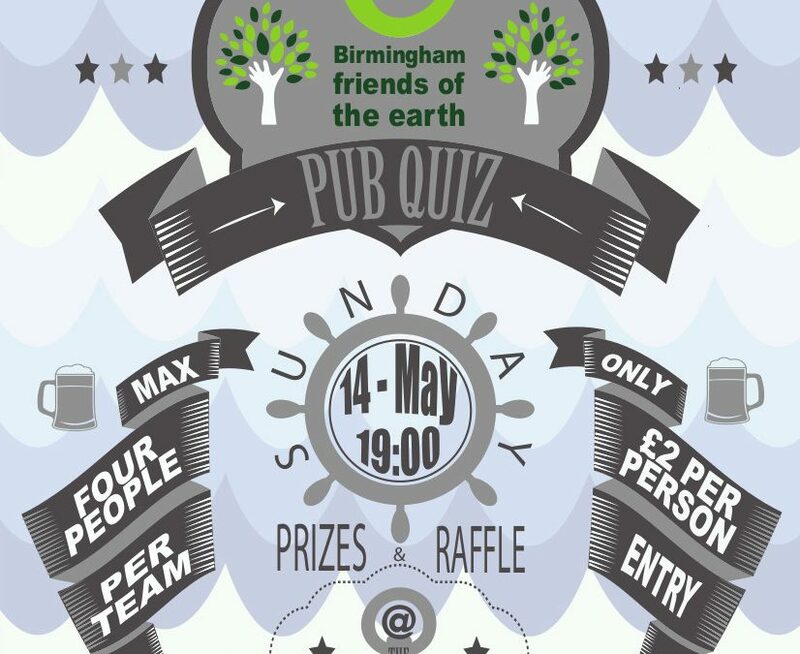 On Sunday 14 May we will be hosting another pub quiz at The Anchor Digbeth from 7pm. All are welcome, teams are a maximum of 4 people with an entry fee of £2 per person. Not only will there be a quiz, but there will also be a wonderful raffle and lots of prizes for you to look forward to, not to mention a bunch of friendly faces (and of course drinks at the bar if that’s your thing). This will be a fantastic opportunity to have fun and raise some money for our campaigns. We’re working on some exciting campaigns, centred around air pollution, nature, and waste recycling in the Birmingham area, and the more we fundraise the more successful these can be! As at previous pub quizzes this is a great chance to meet up with old supporters and friends of BFoE as well as being an opportunity for anyone new to come along and get involved. So come along, bring your friends, and be sure to have a good time! More info can be found on our Pub Quiz Facebook event page.